Ensure you never run out of condoms with this bumper pack of condoms. 144 individually wrapped condoms in one handy package means you're protected at all times. 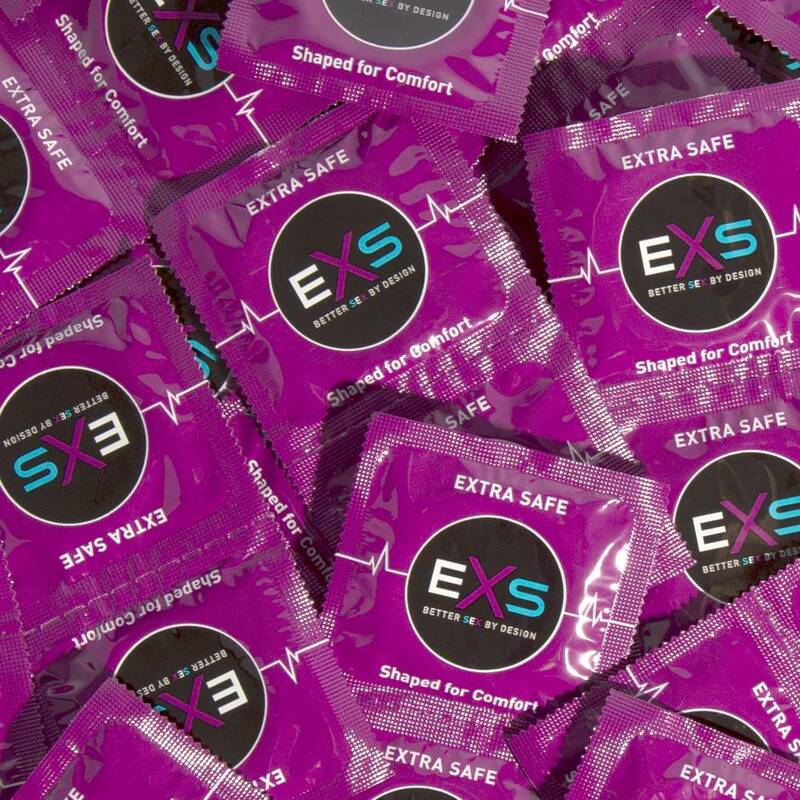 These thicker-than-average condoms are super-safe without decreasing sensation. Order over the phone: Call 1-437-887-1456 and quote code 40892. Made from natural latex for a comfortable fit and feel, these extra safe condoms have 0.08 inches of wall thickness for complete peace of mind. Coated with a layer of slick silicone lube to increase sensation and pleasure. Slip a couple of extra-safe condoms in your bag or wallet and feel fully prepared. All condoms are 100% electronically tested for the best protection. CE marked and Kite marked.